Business today is no longer de-linked from the society. In fact a company’s success and its growth are directly influenced by the quality of its contributions to the betterment of society. 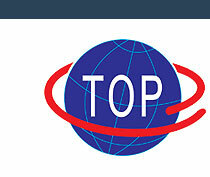 TOP Group always endeavours to put its best efforts to serve the communities in the areas where it operates in. The company sponsors major sport and cultural events, not only in the Valley region but across the North-east. TOP Group also undertakes community welfare programs and backward area upliftment programs that benefits people from all walks of life. TOP Group is setting up a School at Badarpur in collaboration with Vivekananda Kendra Kanyakumari and has joined hands with the District Administration to establish a Green Children’s Park at Karimganj. In the years ahead, the Group will strive to be a major social benefactor and will help enhance the ‘Quality’ of life.